Red Oak Dr. and River Vale Rd. 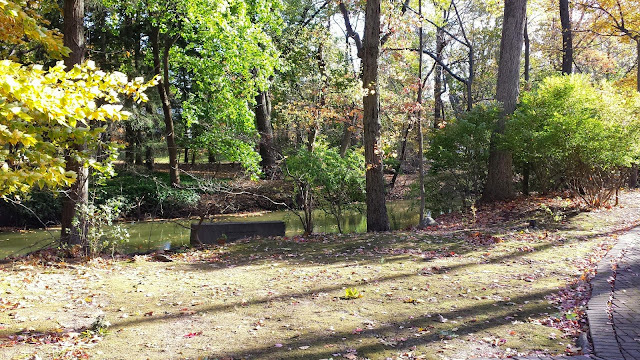 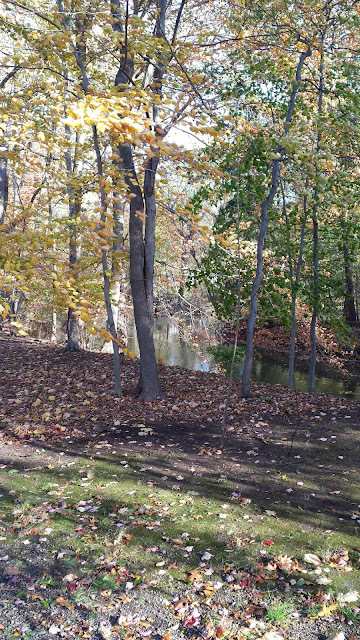 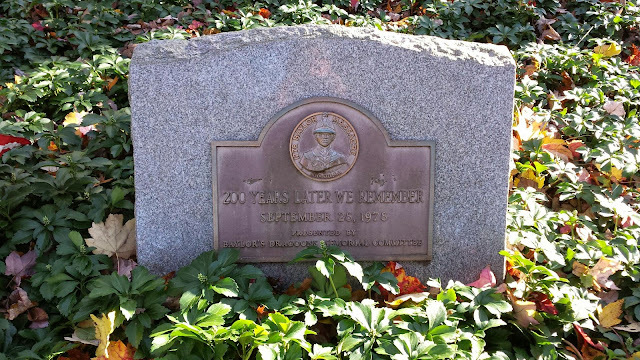 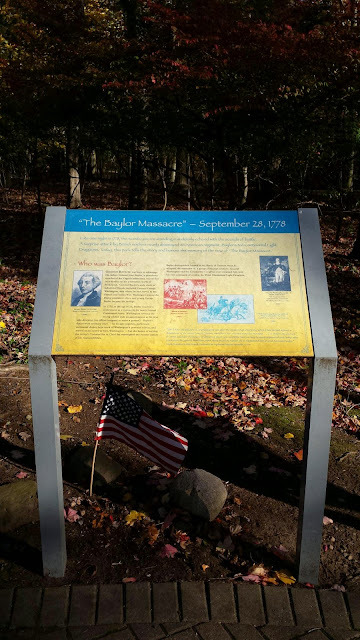 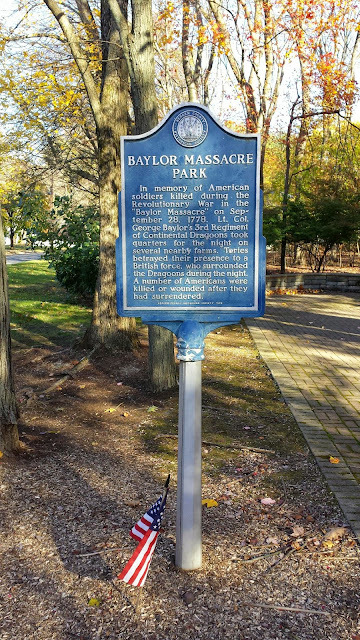 I visited the site of the Baylor Massacre in Bergen County on November 2, 2014. 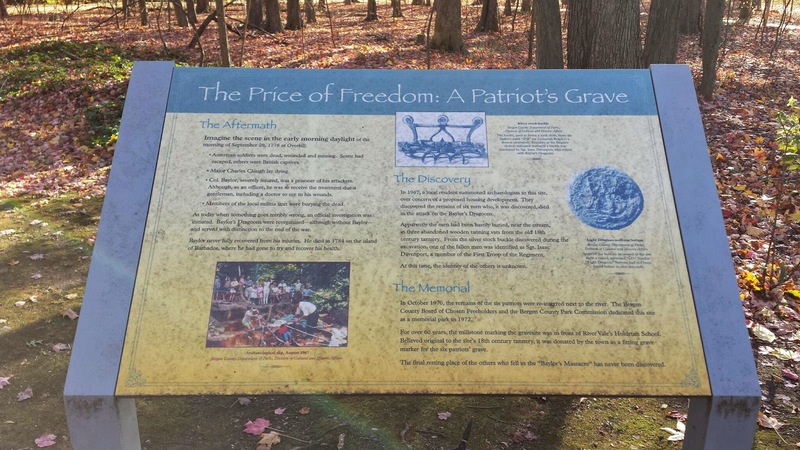 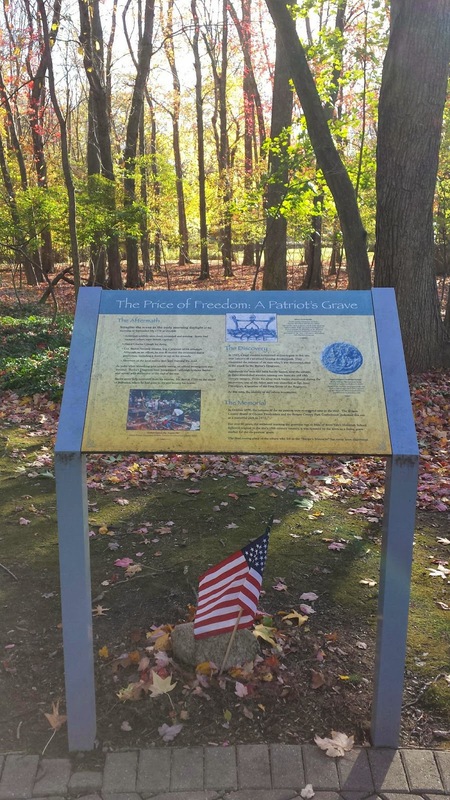 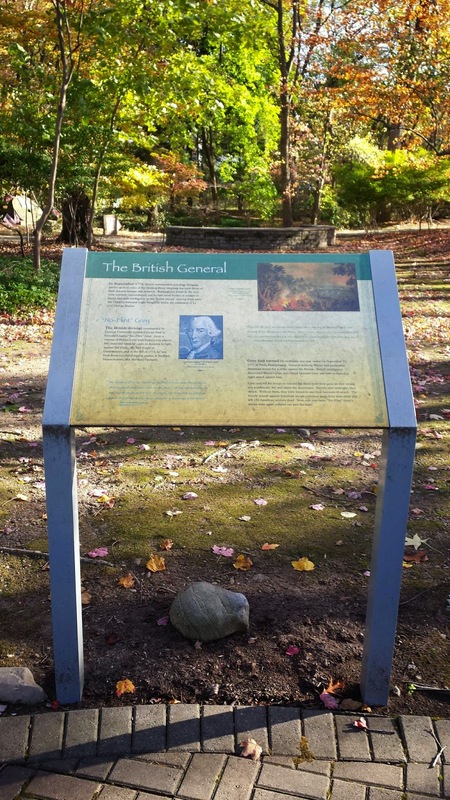 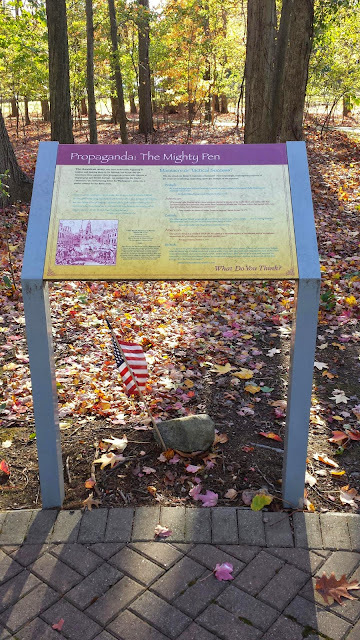 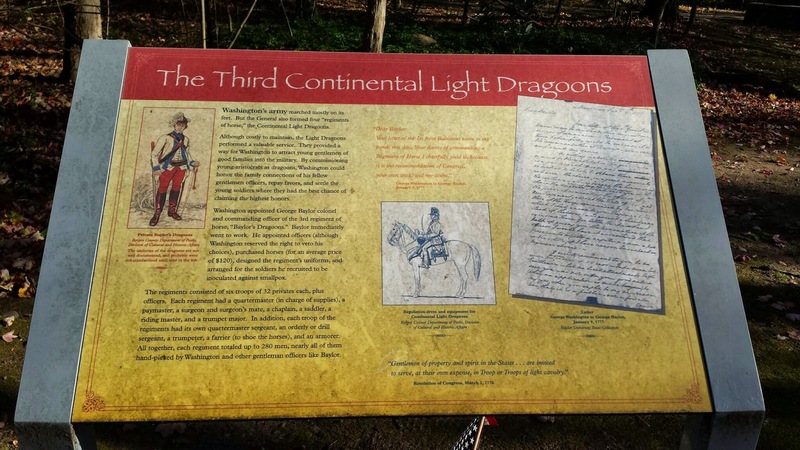 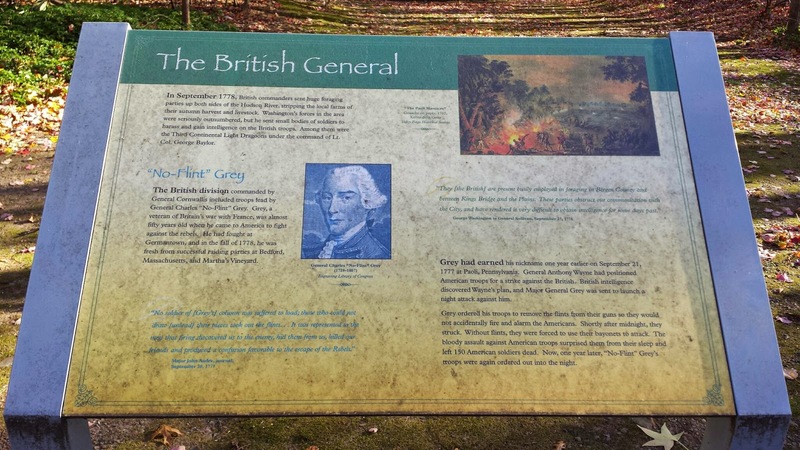 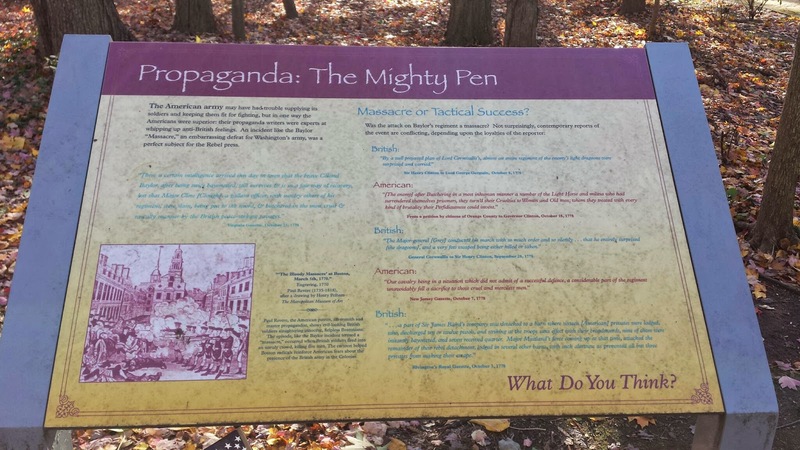 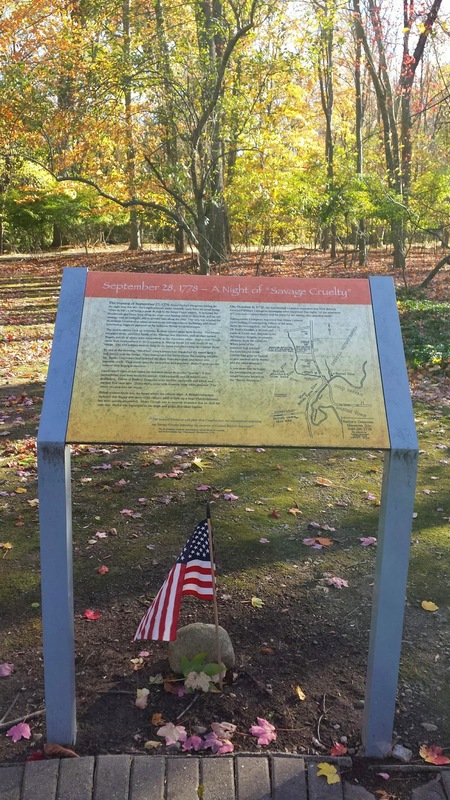 The park is very well maintained, and is a fitting tribute to the Continental Army Dragoons under Lieutenant Colonel George Baylor who were ambushed near this site by British forces under General Charles "No Flint" Grey. "On September 28,1778 during America’s Revolutionary War, there was a brutal surprise attack by British forces on the 3rd Continental Light Dragoons. 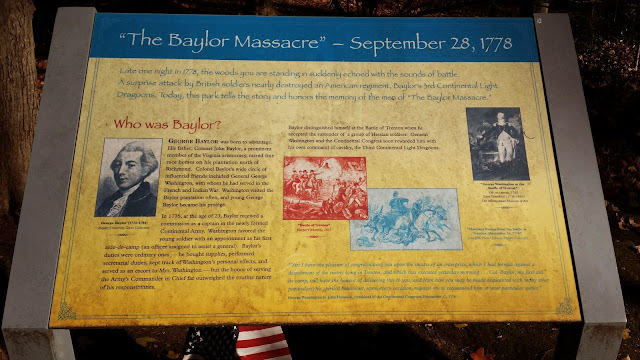 It is known today as the Baylor Massacre. 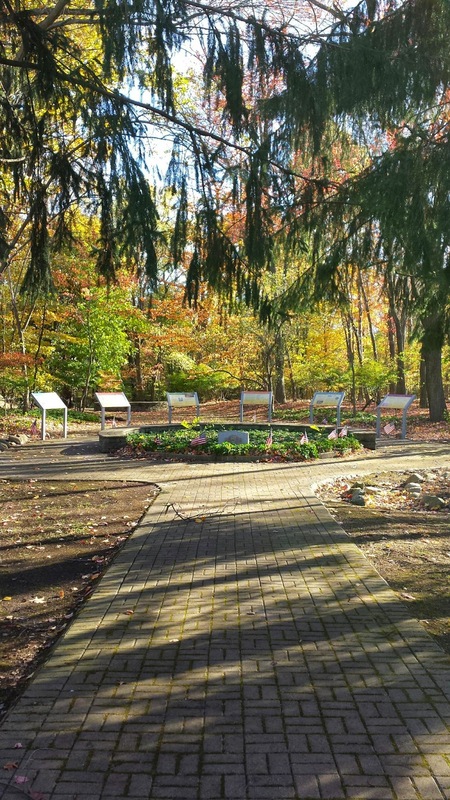 Now a County-owned historic park and burial ground, the Baylor Massacre Site is located in River Vale in northern Bergen County. 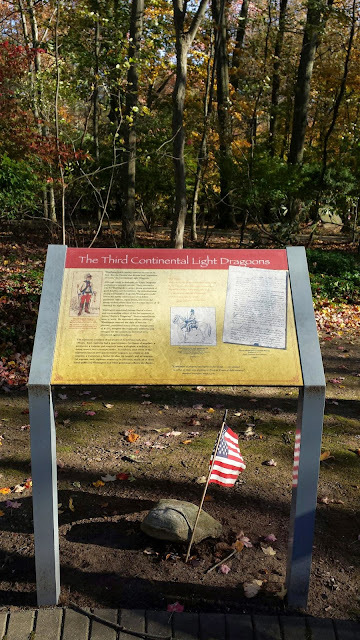 The 3rd Continental Light Dragoons, under Lt. Colonel George Baylor’s command, was one of four regiments of dragoons authorized by the Continental Congress. 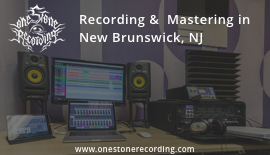 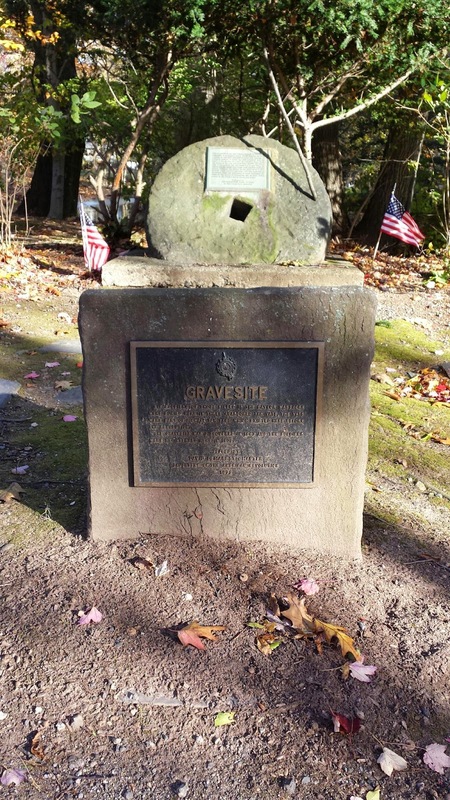 On the 27th of September, they were dispatched to watch the bridge over the Hackensack River at the intersection of modern Rivervale and Old Tappan Roads. The British forces were lead by Gen. Charles 'No Flint' Grey. 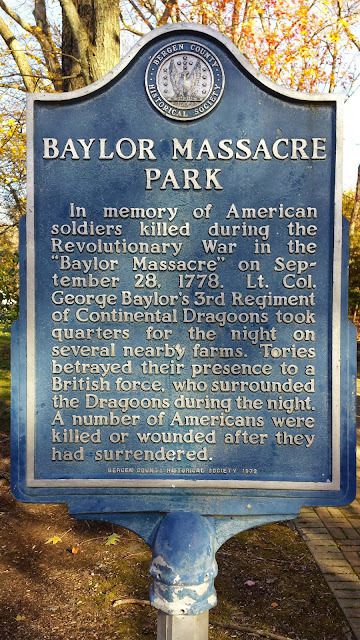 His men used their muskets and bayonets to club and stab the sleeping dragoons. Eleven were killed immediately. More died of their wounds the following day. 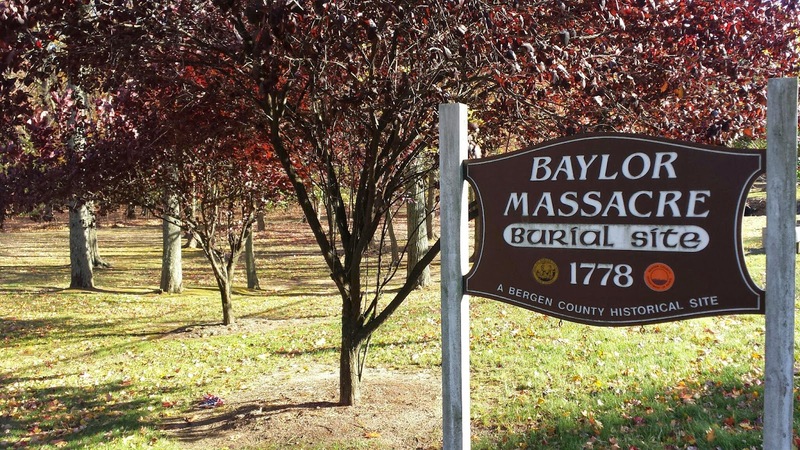 Records indicate that as many as 22 men died, some several weeks later. 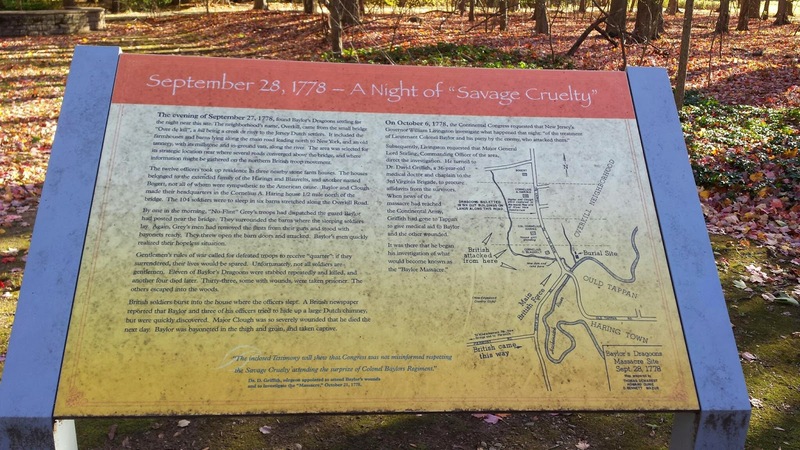 Two officers and 37 men, most of who were wounded, escaped into the night. 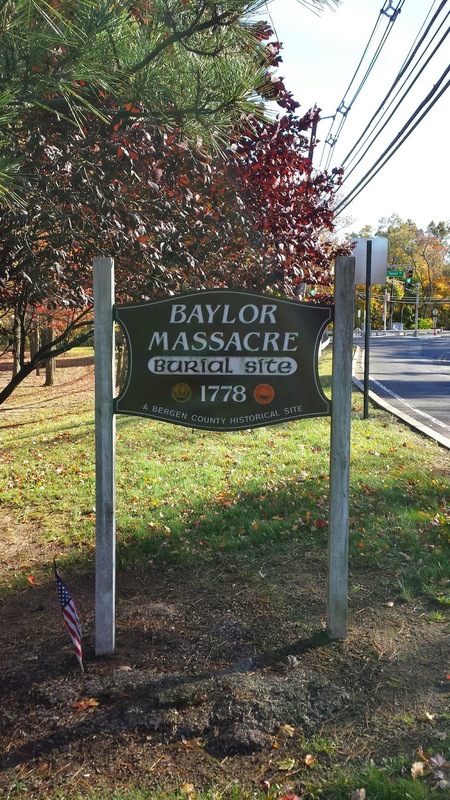 The next day a detachment of the Bergen County Militia was dispatched to River Vale to locate any survivors. 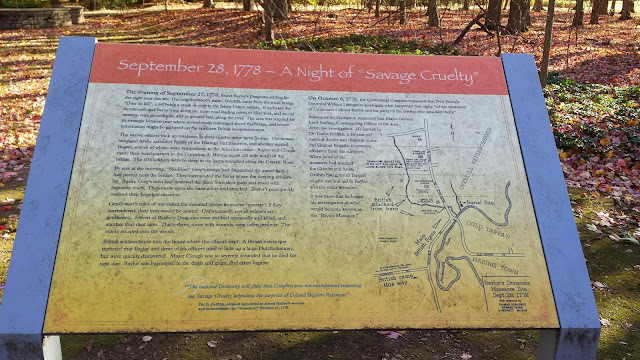 Finding six dead at the bridge, and fearing the possible return of British troops, they hurriedly buried the men in three abandoned leather tanning vats located by the river. The burial’s location was passed on by word of mouth for many generations. 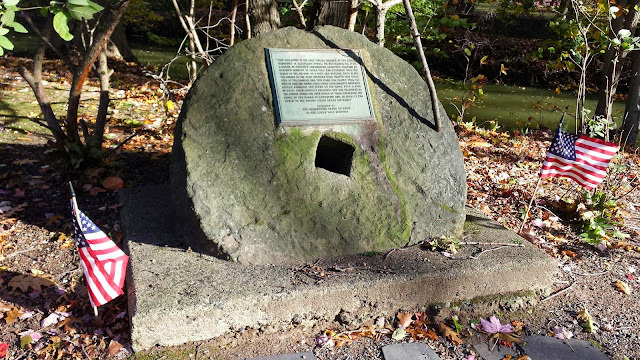 The only physical marker was the abandoned millstone from the tannery. 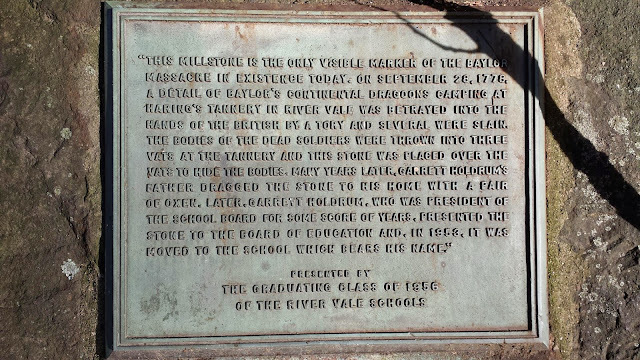 In 1967 when the site was threatened with development the county was contacted. 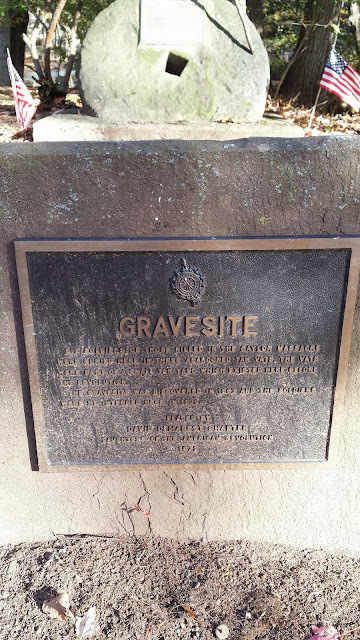 A subsequent archaeological dig located six sets of remains. 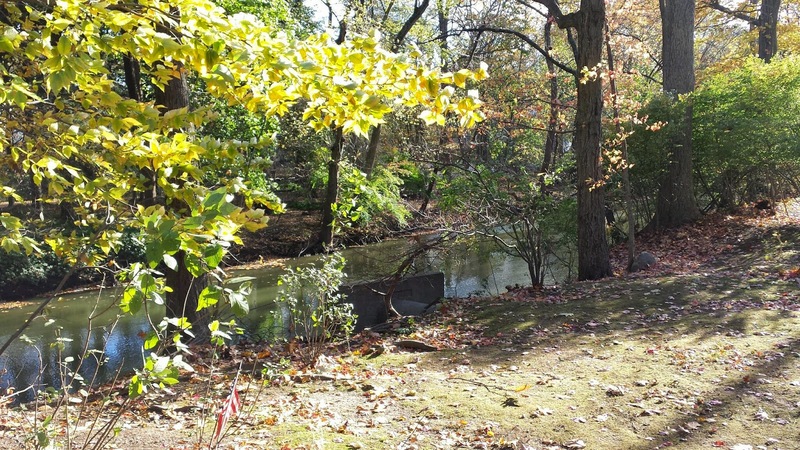 The site was acquired and dedicated as a public county park. 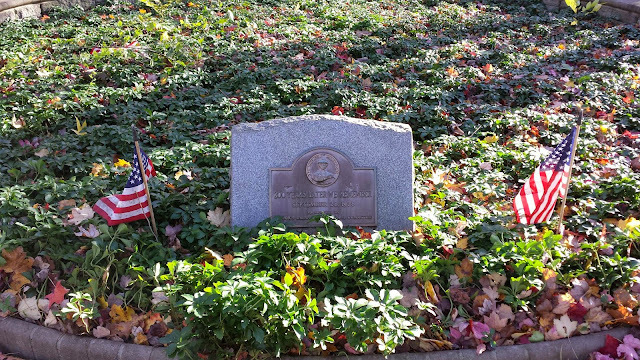 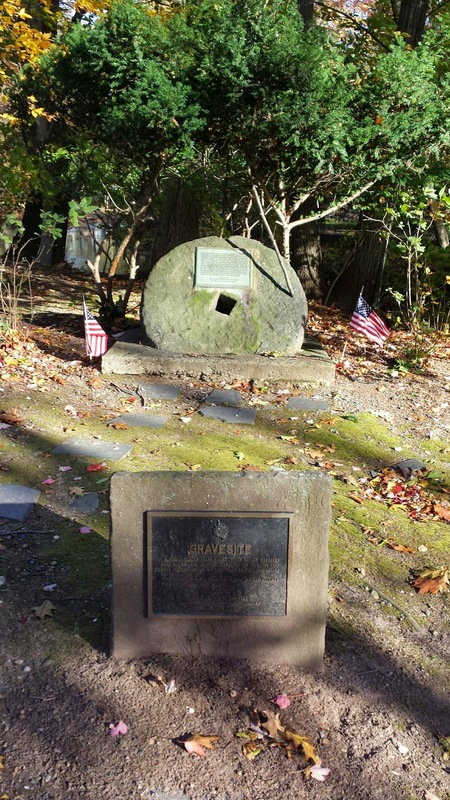 In 1974, the patriots’ remains were re-interred in the park and the original millstone was donated to serve as their gravestone.